As you can see by the pictures this 2000 Shoal Runner is in good condition and with only 154 hours it has hardly been used. Per the seller this boat has been well maintained and is turn key ready. The information and pictures of this boat have been provided by the owner of the boat. This vessel has not been viewed or inspected by the broker. To the best of our knowledge and with the approval of the owner the information and Stock #136839 Powered by 350 GM engine, 310 Horse Power, Has new rebuilt Pump with Stainless steel impeller, 20 foot Aluminum Hull, Great Condition If you are in the market for a jet boat, look no further than this 2000 Shoal Runner 20, just reduced to $18,500 (offers encouraged). 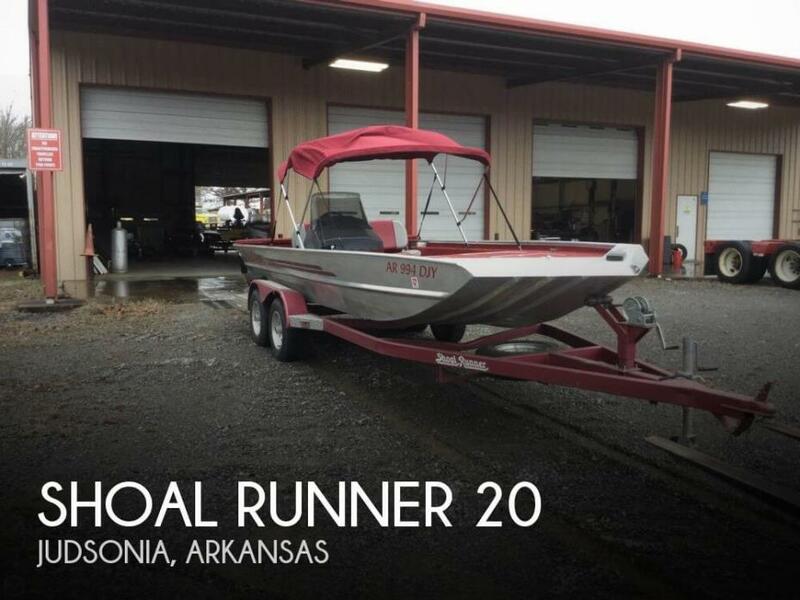 This boat is located in Judsonia, Arkansas and is in great condition. She is also equipped with a Custom engine that has only 154 hours.